All games in category "Action"
Batman: Return of the Joker, known in Japan as Dynamite Batman (ダイナマイトバットマン Dainamaito Battoman? 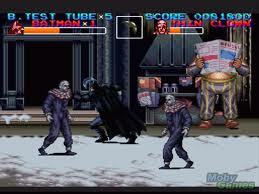 ), is the follow-up to Sunsoft's first Batman game on the Nintendo Entertainment System. Unlike that game, which was based on the 1989 Batman film by Tim Burton, Return of the Joker is entirely self-contained and based more on the modern comic book iteration of Batman. However, Batman mans the Batmobile from the 1989 film. 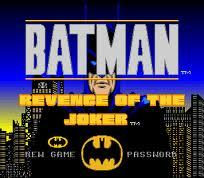 A remake of Return of the Joker, titled Batman: Revenge of the Joker, was released on the Sega Genesis by Ringler Studios in 1992. A Super Nintendo version of the game was in development but never released.A completely different version of the game was released on the Game Boy in 1992. 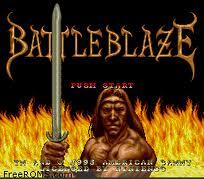 Battle Blaze (バトルブレイズ?) is a 1992 medieval fighting released for the Arcade and Super Nintendo Entertainment System by Sammy Studios. It is where players use swords, morningstars, knives, and other weapons to beat up their opponents. The player can either play in a colosseum or on a quest. The eventual goal is defeat the Dark Lord who lives in a castle in the sky. 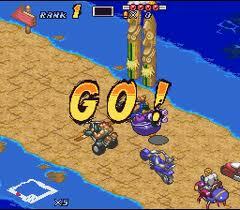 Battle Cars is a racing video game for the Super NES that was developed by Malibu and published by Namco in 1993. It is a futuristic racing game in which cars are equipped with missiles, grenade launchers, and sliding disks which are used to eliminate opponents. Battle Dodgeball II is part of Compati Hero Series (コンパチヒーローシリーズ Konpachi Hīrō Shirīzu?) is a video game series published exclusively in Japan by Banpresto and Namco Bandai Games (formerly Bandai) that began in 1990. 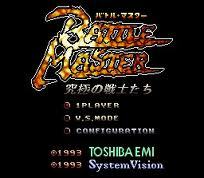 Battle Master is a 1990 fantasy action adventure game designed by Mike Simpson and Simon Jones for PSS and distributed by Mirrorsoft. The game is a fantasy adventure in which the player controls a champion who must battle evil forces to conquer four kingdoms, uniting the four kings' crowns and presenting them to the Watcher in order to restore the world to peace. Flash Hiders (Japanese: フラッシュハイダース?) 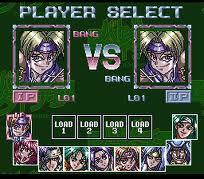 is a 1993 fighting video game developed and published exclusively in Japan on December 19, 1993 for the PC-Engine Super CD-ROM².Flash Hiders was followed by a 1995 sequel titled Battle Tycoon: Flash Hiders SFX, which was also released exclusively in Japan, but developed for the Super Famicom. 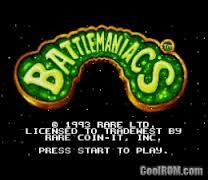 Battletoads is a video game media franchise by Rare that began with the original beat 'em up game Battletoads in 1991. Starring three anthropomorphic toads named after skin conditions, Rash, Zitz, and Pimple, the series was created to rival the Teenage Mutant Ninja Turtles games. The series as a whole has been quite popular and at its apex spawned an animated television pilot.The initial Battletoads game for the NES was renowned for its difficulty, but was well received and spawned sequels for various platforms including a crossover with the Double Dragon series. 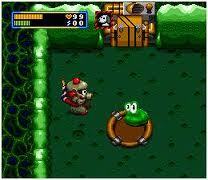 In each of the games, the objective is to defeat the toads' nemesis the Dark Queen and her army of space mutants. Most titles in the series do not feature all three toads as playable characters, with one or two members of the team being captured by the Dark Queen. The exceptions to this were Battletoads & Double Dragon and the Battletoads arcade game. 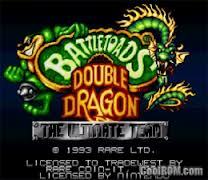 Battletoads & Double Dragon is a 1993 beat 'em up developed by Rare and published by Tradewest. 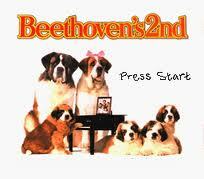 It was originally released for the NES and later ported to the Sega Mega Drive/Genesis, Super NES, and Game Boy. 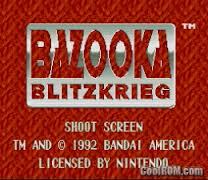 Bazooka Blitzkrieg (Destructive in Japan) is a video game software released for the Super NES which makes use of the Super Scope light gun. It was developed by Tose and released in 1992 by Bandai. Bazooka Blitzkrieg is rail-shooter - the screen slowly moved from left to right, player only fires his weapon at the different robots to destroy them. 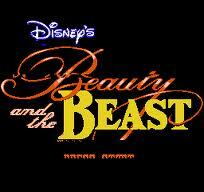 based on the film was titled Disney's Beauty and the Beast and is an action platformer for the SNES. It was developed by Probe Entertainment and published by Hudson Soft in North America and Europe in November 1994 and February 23, 1995, respectively. The game was published by Virgin Interactive in Japan on July 8, 1994. The entire game is played through the perspective of the Beast. As the Beast, the player must get Belle to fall in love so that the curse cast upon him and his castle will be broken, she will marry him and become a princess. The final boss of the game is Gaston, a hunter who will try to steal Belle from the Beast. There is even a snowball fight scene in the middle of the game and cutscenes between stages that tells the story of Beauty and the Beast. 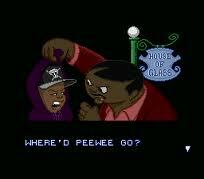 Bébé's Kids (released on home media as Robin Harris' Bébé's Kids) is a 1992 American animated comedy film produced by Reginald Hudlin and Hyperion Pictures, directed by Bruce W. Smith, and released on July 31, 1992 by Paramount Pictures.The first animated feature to feature an entirely African-American main cast, the film is based upon comedian Robin Harris' "Bébé's Kids" stand-up comedy act. It features the voices of Faizon Love (In his film debut), Vanessa Bell Calloway, Marques Houston, Nell Carter, and Tone Lōc. Tom Everett, Rich Little, and Louie Anderson also lend their voices. 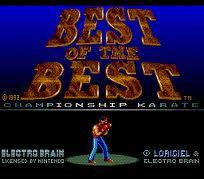 Best of the Best is a 1989 American martial arts film directed by Bob Radler, and produced by Phillip Rhee, who also co-stars in the film. The film also starring Eric Roberts, James Earl Jones and Christopher Penn. The plot revolves around a team of American taekwondoin facing a team of Koreans in a taekwondo tournament. Several subplots pop up in the story - moral conflicts, the power of the human spirit triumphing over adversity are some themes. 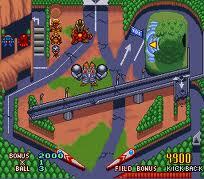 Big Sky Trooper is a sci-fi action game, produced by JVC and LucasArts for the Super NES in January 1996. At the start of the game, the player chooses an avatar, male or female, before the story begins; the evil Space Slug forces, led by the Sultan of Slime, have launched a sudden attack on humanity, quickly occupying the majority of planets in the galaxy, and forcing the Sidereal Shock Troops to recruit soldiers to counter the threat. After passing three "grueling tests", the player is made a "21-star general" and transported to the E.S.S. Dire Wolf, where he meets the ship's Flexible Interactive Digital Omnicomputer (FIDO, represented by a dog). From this point, the player receives various orders, from rescuing stranded agents on various cartoon-like worlds, retrieving upgrade parts for the ship and the player, and repairing various machines which help keep the universe running. The vast majority of the game, however, is spent hunting down and driving the Slugs off different planets; when arriving at an occupied world, the game switches to an overhead Asteroids-esque view, where the Dire Wolf must shoot down all enemies (beginning with small, weak ships, with larger ones featured later in the game). After this, the player dons a suit of powered armor and descends to the planet's surface to hunt down the Slugs (which actually resemble green blobs capable of splitting and combining, if necessary). Once this is finished, any additional tasks (such as speaking to people, opening up passages to the different machines) can be completed, or the player can return to the Dire Wolf and head to the next planet. The general plot of the game (planets conquered by alien invaders, player is suddenly recruited and must don power armor to retake them) is similar to the novel Starship Troopers. Biker Mice from Mars is a science fiction action animated series created by Rick Ungar that began airing in 1993 in the United States and lasted for three seasons before it was cancelled. It follows three anthropomorphic mice motorcyclists named Throttle, Modo, and Vinnie who escape a war on their home planet Mars before arriving to defend the Earth from the evil that destroyed their homeland (the Plutarkians) and to one day return to Mars. The mice's signature weapons consist of a cestus and a laser (Throttle), a bionic arm (Modo), and flares (Vinnie). Despite the frequent battles, no blood is shown, no firearms are used and many villains are monsters, aliens, and robots. These elements allowed the show to still be considered suitable for children. 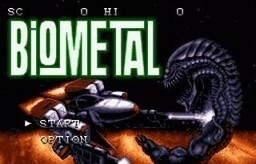 BioMetal is a single-player horizontal scrolling shooter game released on June 1, 1993 for the Super NES (SNES).The game features six different weapons to combat the BioMetals, an extraterrestrial race determined to destroy the human race. 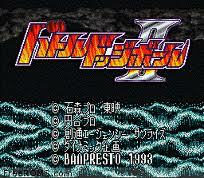 The gameplay is very similar to that of the R-Type series, with the final boss even greatly resembling and behaving similarly to that series' iconic boss enemy Dobkeratops. BioMetal is unique in that its soundtrack for the European and North American versions was entirely created by techno group, 2 Unlimited (the selections used for BioMetal were remixes of songs from their 1991 album, Get Ready!). The Japanese version of the game featured an entirely different soundtrack.A sequel called BioMetal Gust was released for the Sega Saturn in 1997, included with the Dezaemon 2 pack.